All of the people involved in this race make it quite great. 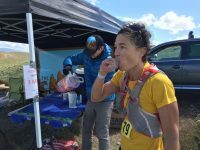 Aid stations are hosted by some of my favorite running crew, including the Tahoe Mountain Milers and The Canyons race management team. 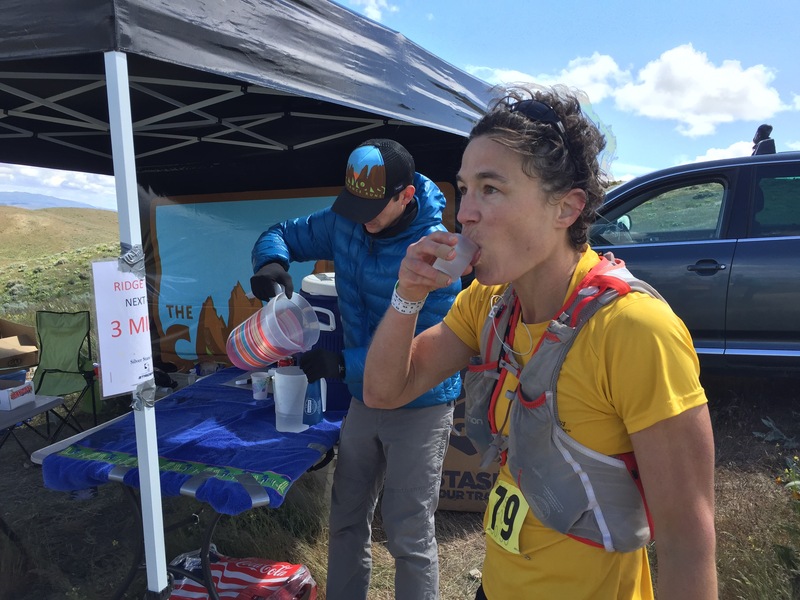 Our own Donner Party Mountain Runners were sprinkled liberally at various aid stations. And the Silver State Striders put together a perfect and welcoming start/finish area. 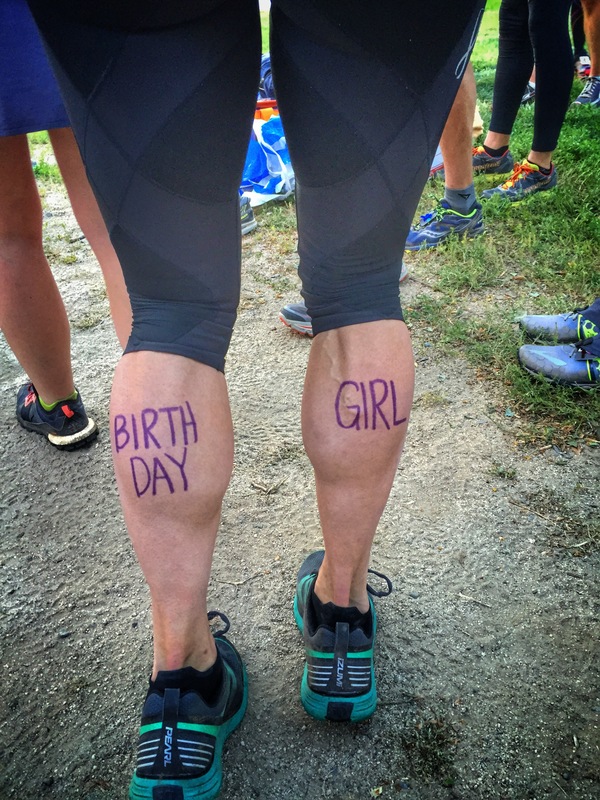 To ensure a fabulous trail birthday, my friend Rachael inked “Birthday Girl” on my calves the day before the race. 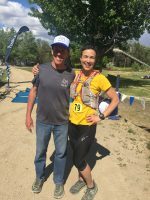 I donned my TRT finisher’s buckle and hung out with a few running friends the evening before heading down to Reno. I was pretty amped up and feeling like I was over the hump of the health challenges that I had been experiencing this year. And it had to snow again. Really? It definitely left us wondering if we would be facing the infamous Peavine “brick-making mud.” Fortunately, the dirt remained mostly dry and the cool temps made for some very pleasant running on the exposed course. 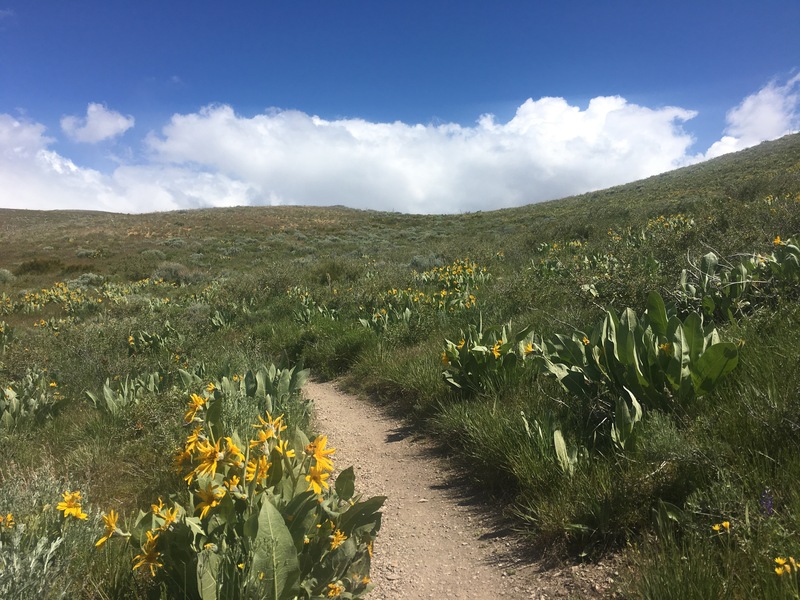 I enjoyed the first big climb up to the top of Peavine, thankful for the great running weather and happy to hang out with so many friends on the trail. Jenelle, in addition to being a dear friend, is also a bit of my running idol. She was third female last year and has been putting in solid training mileage despite her hectic schedule. I also enjoyed seeing so many Reno peeps out there, including several who finished the inaugural Castle Peak 100k last year. I feel a special sense of shared accomplishment with each of these runners. While my primary mission was to have a great birthday run, I did have a goal to not let the 50k runners (specifically Coach Peter!) catch me. They started an hour later, and the courses split ways at about mile 14.5, some 2 miles downhill from the Peavine Peak aid station. I had fun with the downhill and ran strong until I got into some rolling hills that neither suit my strengths nor my interests. I’m working on that in general. I perked up again for the descent into River Bend, but I could feel the fatigue of the day setting in. Next up was the 7.5-mile climb back to Peavine Peak. I know the climb well, as we had trained on it a bunch this spring. It was no surprise as Jenelle passed me in the final miles up to Peavine. On a better day, I could have stayed at least close to her on the descent, but my energy and drive to do that weren’t there. I was, however, excited for the birthday tequila shot that The Canyons party crew had waiting for me at mile 45. I haven’t been drinking much lately, and that was a fun treat. The half-shot of top-shelf tequila warmed me as it coated my dry throat. That was good for a couple of miles, but the final 3-4 were a battle to finish. The route into the finish was not the same as the half marathon that I had run last year, so this threw me off my already-dampened game. I was so fatigued that I came to a full-stop a few times in these final miles. Race Director John Trent greeted me at the finish in 9:47, where I was so happy to be done! My husband, Javier, acted as gracious runner concierge. Jenelle finished super-strong in 9:27, beating her goal of running sub 9:30. I savored her hard-earned accomplishment. In the days following the race, I felt like a fraud as many congratulated me on my 3rd-place finish. I should have (could have?) pushed to finish harder, like Jenelle did. It has taken me a few weeks to be ok with having a fun birthday run that was still (mostly) a really good race for me. As I type these words, I am two days out from the NUT100k, my final race before diving into focused IMTUF training. I feel light and springy, impatient with desire. Click here for my Silver State 50-miler activity on Strava.